Soldering is the process of heating up tin alloy to melting temperature and allowing the molten metal to flow between two electrical components and form an electrically conductive (and mechanically permanent) joint. Soldering is dangerous. With the tip of the soldering iron at 750° bad things can happen quickly. 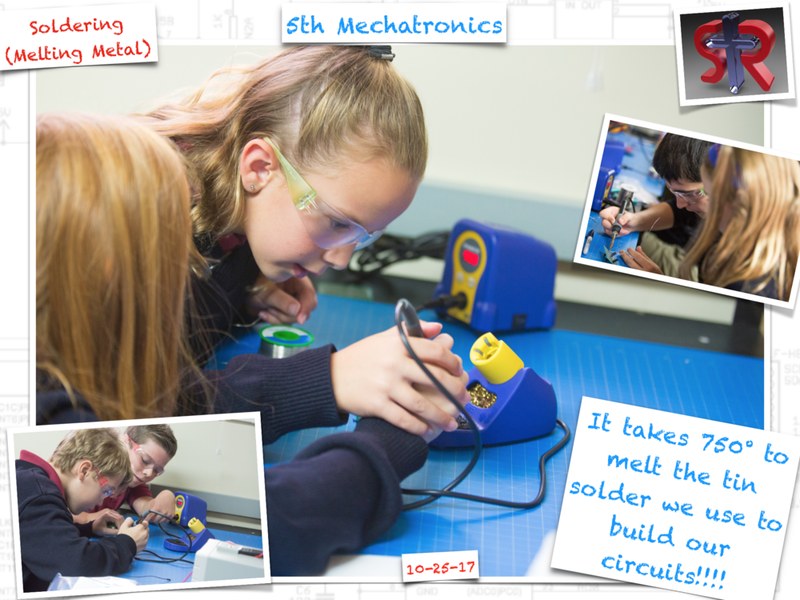 Today our 5th grade class stepped up to the responsibility plate and were allowed to solder in a supervised setting. Kudos to the class for an injury free day and for taking safty so seriously. The students not only did well, but they were great teachers to each other! Studets work in pairs to help each other solder safely.